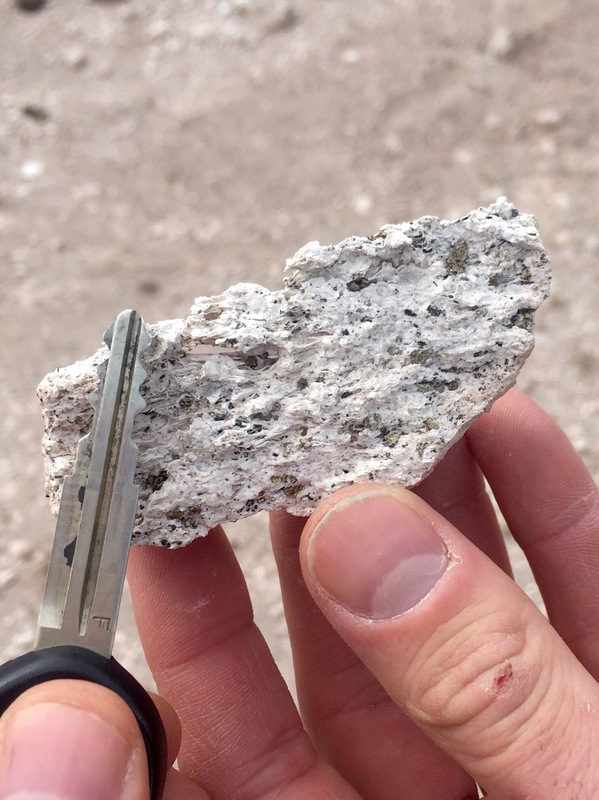 We’ve pulled over to to check on a malfunctioning truck, and we’re pleased to discover some sedimentary structures, biotite pumice, and caliche. 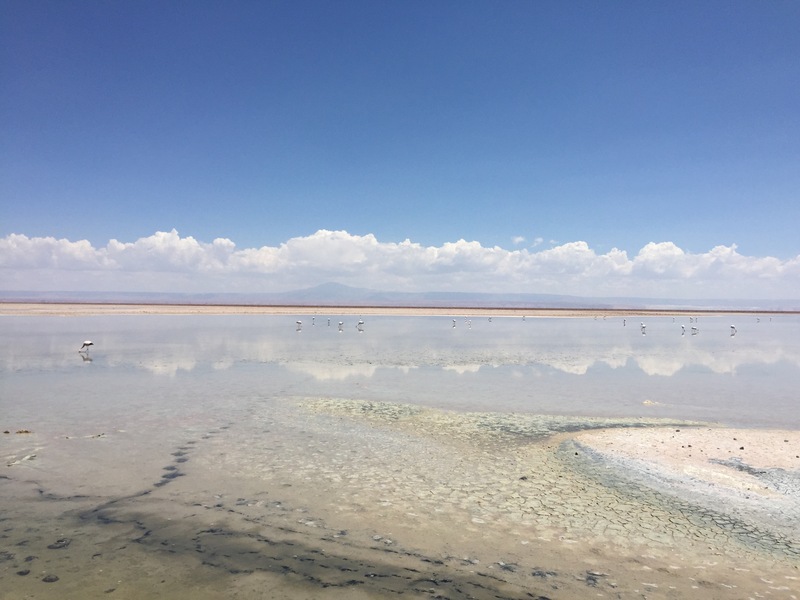 The Atacama typically only gets 3mm of rain a year. 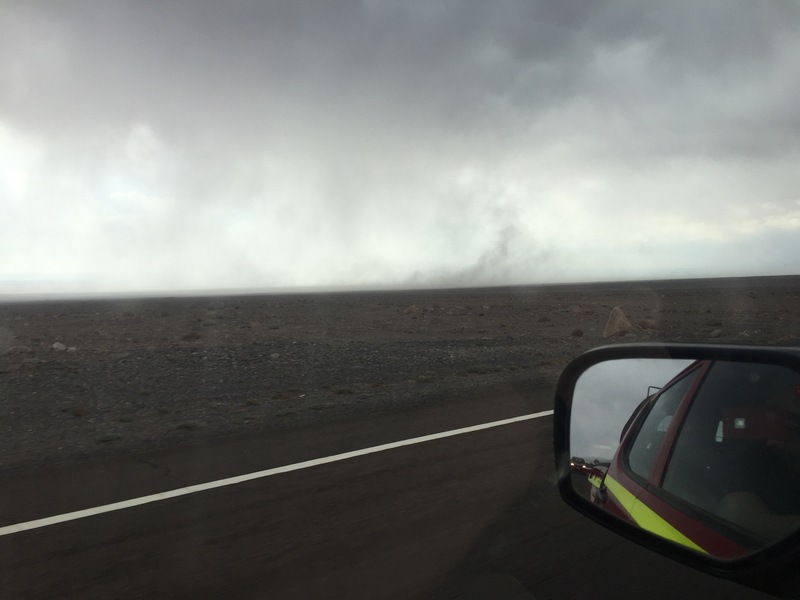 Today we had the unique opportunity of experiencing it on our drive home. 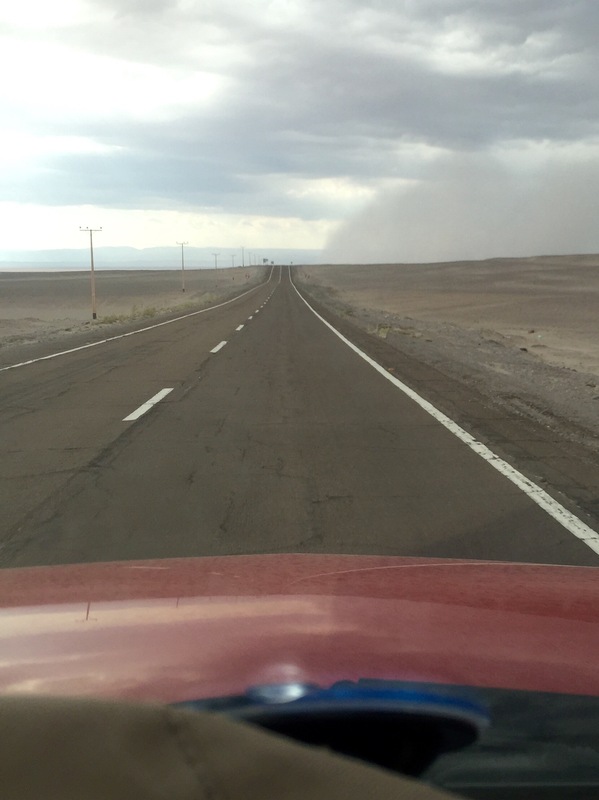 Each time we passed through the windy showers, it seemed like there was just as much dust as water. After arriving back in Dan Pedro, we stopped for gas. 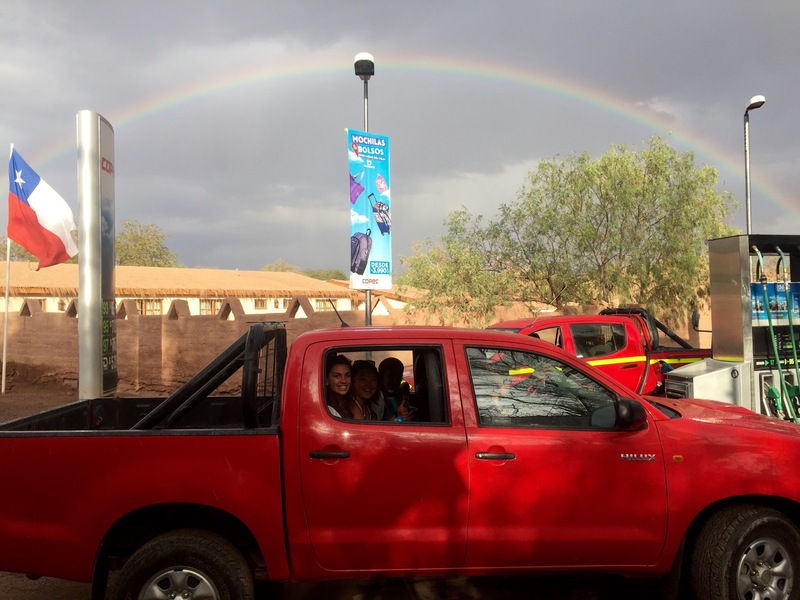 Where we’re treated to a beautiful rainbow at the Cinopec station, as we topped our tanks for our early morning drive to the geyser field tomorrow. An unplanned stop. 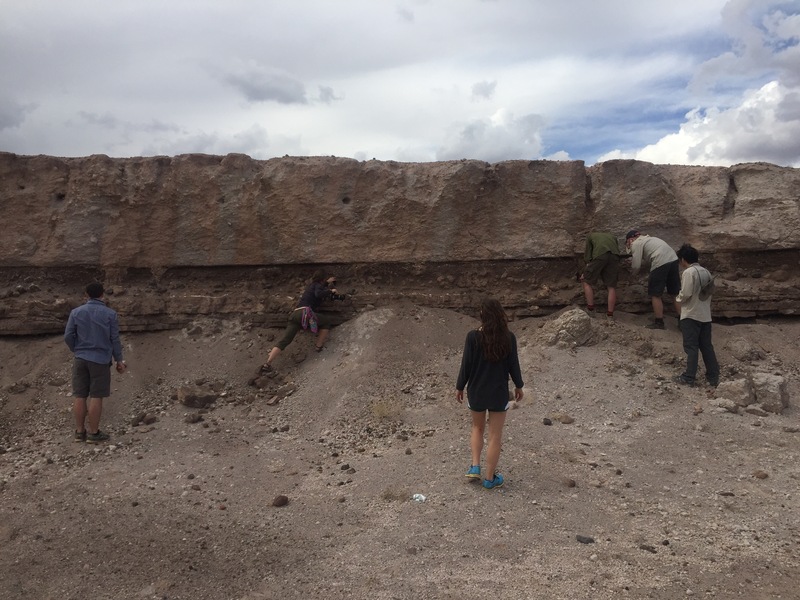 Exploring plugs and associated breccia, flow-banding, amygdules, and weathered feldspars. 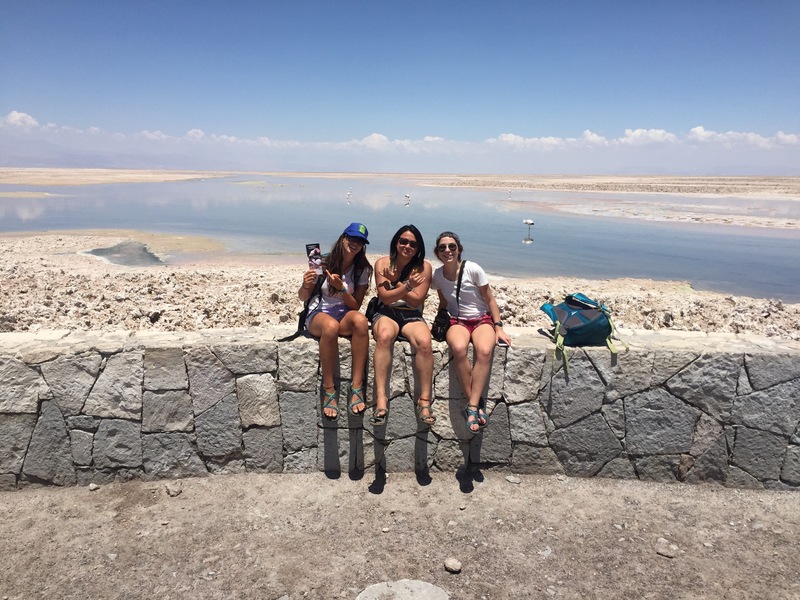 A close up look at the salt deposits and the flamingos common in this area of ephemeral lakes. Lake Chaxa is part of the San Pedro river system flowing through the basin. 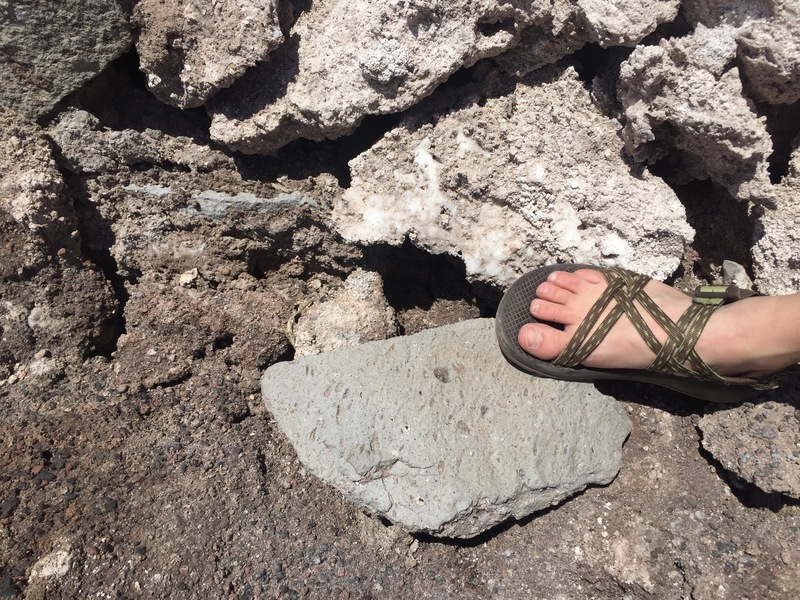 As a bonus, the walls along the trails are built of freshly shaped tuffs. 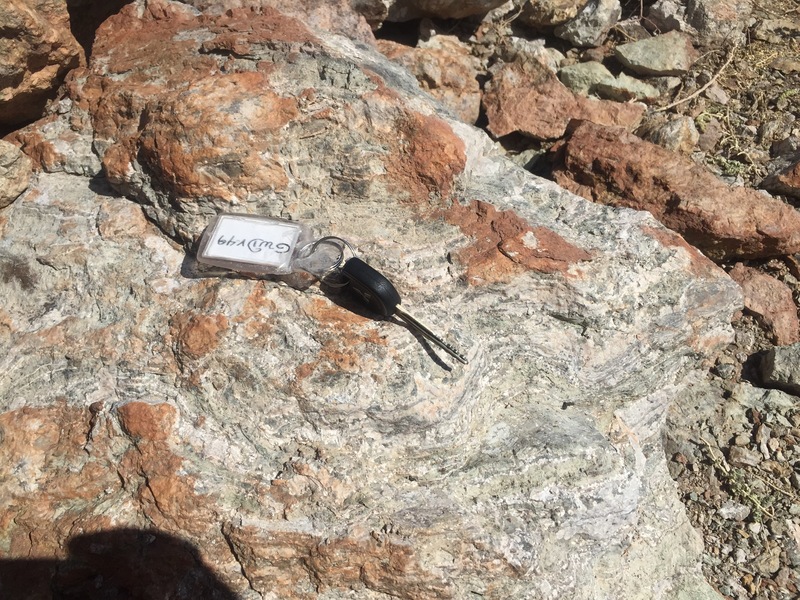 For us that is fortunate, as we don’t have our rock hammers with us to access such great surfaces in outcrop. 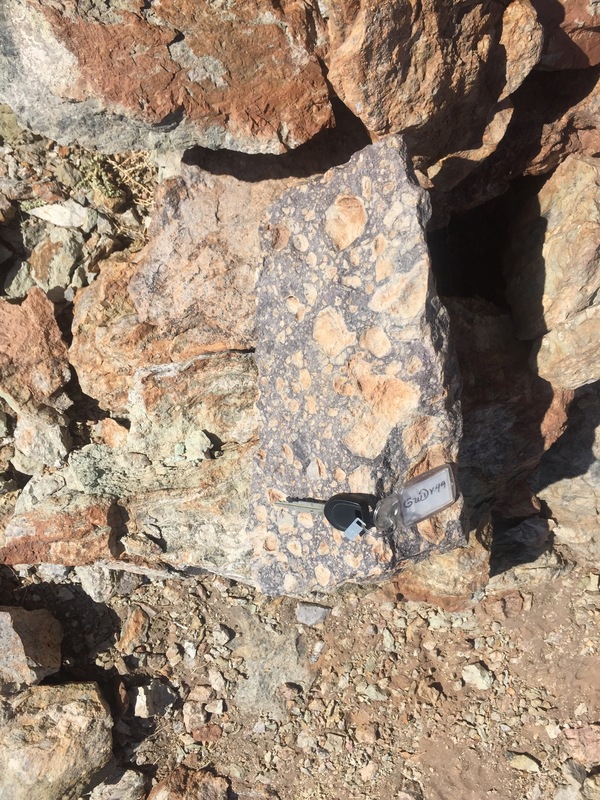 Great examples of pumice class and mafic inclusions. 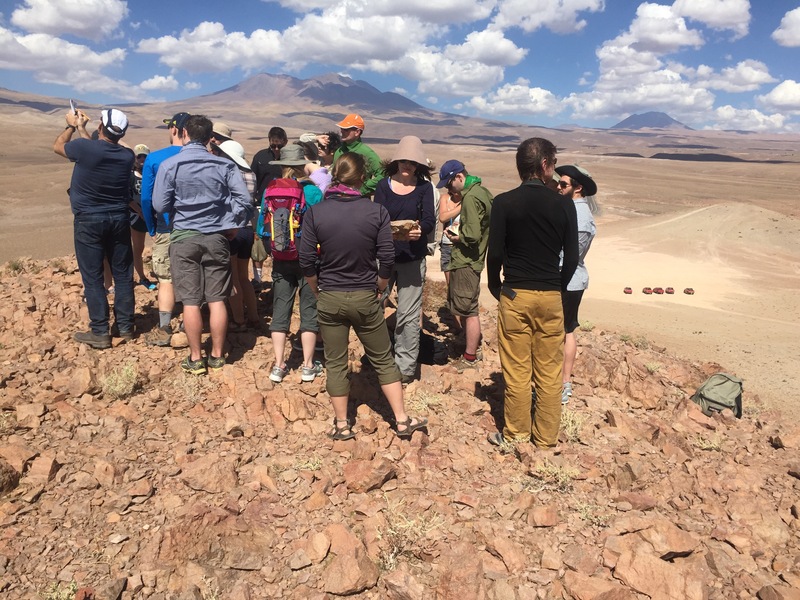 We’ve stopped in the middle of the Atacama for a quick orientation to the various volcanic rocks exposed in this area, and a discussion of thermodynamics and geochemistry. We also have good views of Lascar and Lincubar, the major volcanic peaks in the area, which we will be looking at closer later on.